Sound the Octoalert! Life Like Touring have announced a new and exciting live musical touring event due to hit Australian theatres early next year. Featuring every child's favourite underwater adventurers and stars of ABC's hit animated show The Octonauts, Captain Barnacles, Kwazii, Peso and the rest of the gang will star in OCTONAUTS LIVE! OPERATION REEF SHIELD taking an underwater adventure to the Great Barrier Reef to clean up murky water that is making the coral sick. 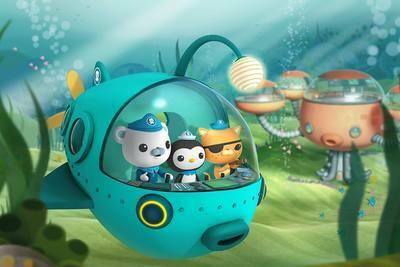 The Octonauts started airing on the ABC network just two years ago, yet they rate as one of the 'Top 10 most watched TV programs in Australia'. The eight underwater explorers live in an undersea base called the Octopod, and head off on underwater missions, making reference to interesting marine facts to inspire budding young marine biologists everywhere. OCTONAUTS LIVE! OPERATION REEF SHIELD highlights an important issue that is currently happening to reefs around the world as Barnacles and his trusty crew discover the murky waters has infact introduced an outbreak of very hungry starfish that need to be stopped before they destroy the Great Barrier Reef and its inhabitants. Will Barnacles and his trusty crew complete their mission before it is too late to save the Australian reef? Find out by taking your little Octocadets to see OCTONAUTS LIVE! OPERATION REEF SHIELD touring Sydney, Melbourne, Brisbane, Adelaide and Perth from 27 February to 27 March 2015. OCTONAUTS LIVE! OPERATION REEF SHIELD will perform at The Comedy Theatre in Melbourne on Friday, 13 Mar 2015 and Saturday, 14 Mar 2015. Running time: 75min total with a 15min interval. Tickets go on sale from 18 November. 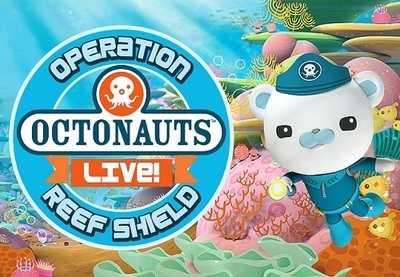 Join the wait list at OctonautsLive.com.au and join the Octonauts Live on Facebook for all the latest news.